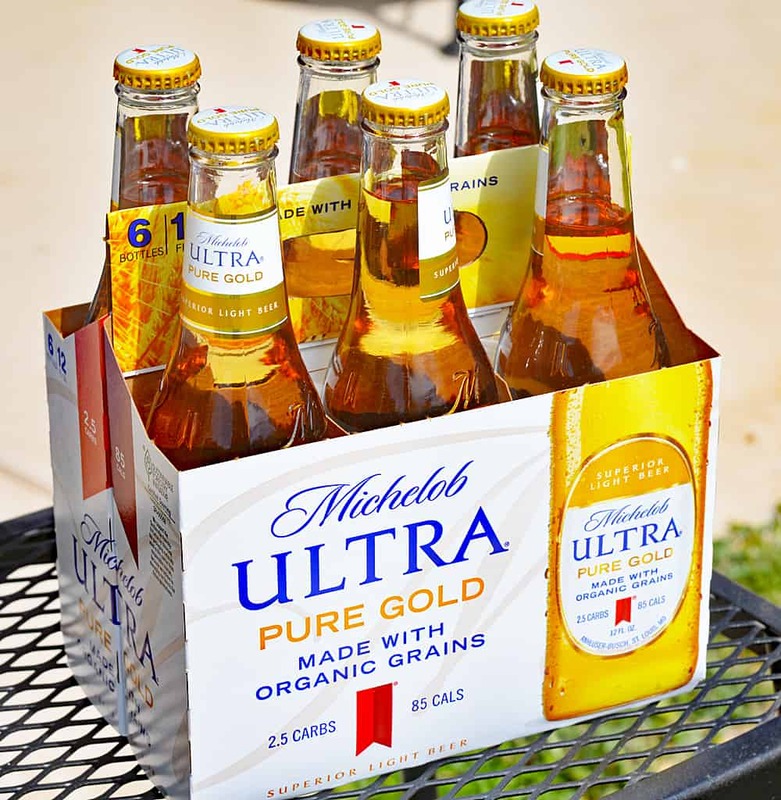 A month or so ago, you may have seen my first post featuring Michelob ULTRA’s Pure Gold called My “Recipe” For Fun and Fitness where I introduced you to Michelob’s brand NEW product, Pure Gold. It’s made with organic grains, has just 85 calories and only 2.5 grams of carbs! Today, I’m excited to bring you this follow up post for Summertime Food and Fun with Michelob ULTRA Pure Gold! 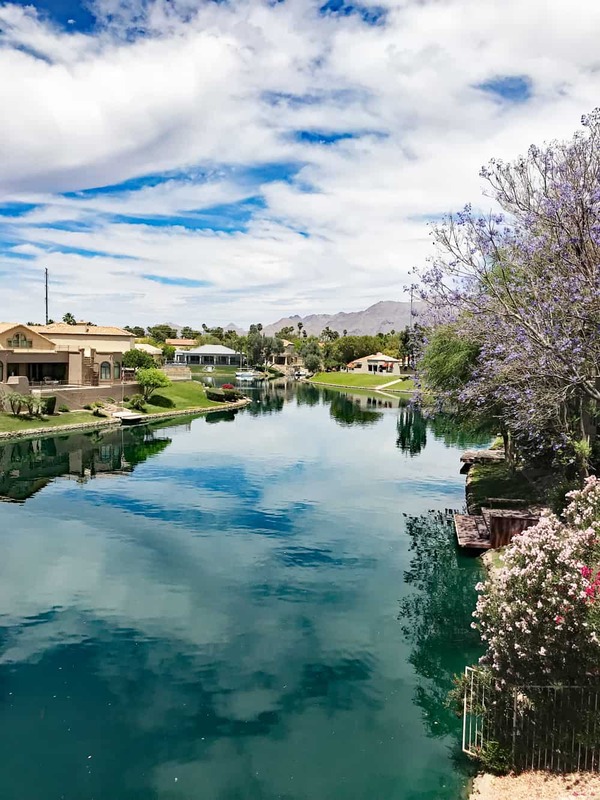 I know that technically it is not technically “summer” yet for many of you yet here in the U.S., but it certainly got hot – fast – here in Arizona! 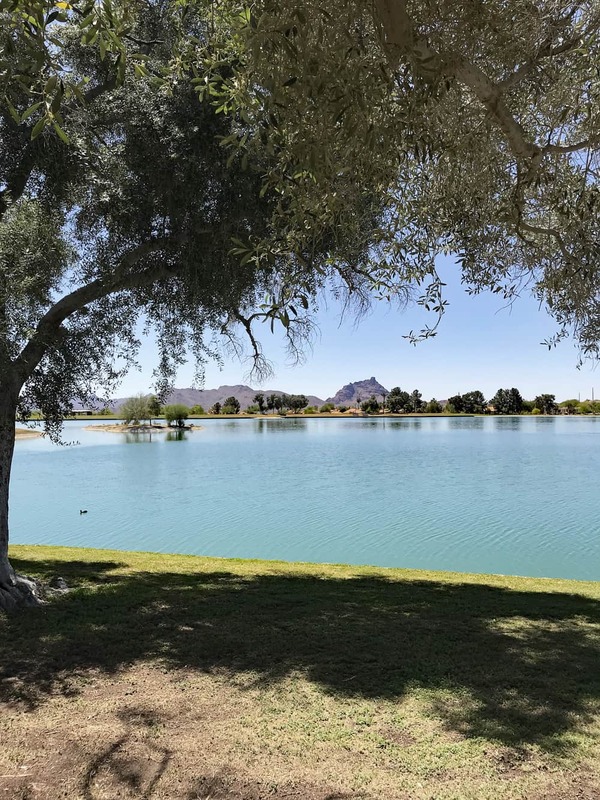 I got so many requests for more outdoor/scenic posts after that one, that I thought I would continue on with my theme of showing you some of my state of Arizona (while exploring and getting some exercise in the process). It’s about doing the things you love, with the people you love and still enjoying what you love – without the guilt! Pure Gold is a refreshing, triple-filtered beer that is inspired by nature … and best enjoyed in nature. So while our Michelob ULTRA Pure Gold is chilling on ice, let’s go exploring! In the middle of this 29 acre, 100 million gallon lake lies this fountain. 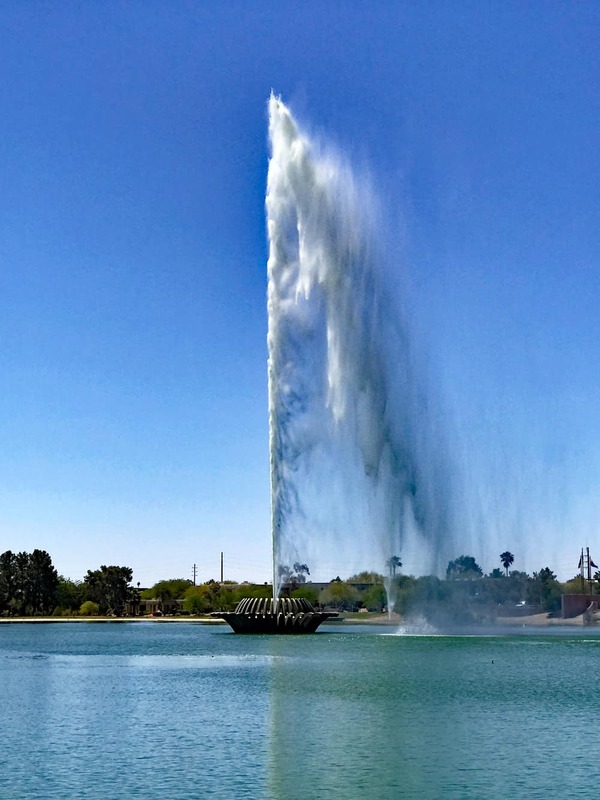 With all three pumps under ideal conditions, the fountain reaches 560 feet (170 m) in height, though in normal operation only two of the pumps are used, with a fountain height of around 300 feet (91 m). When built it was the world’s tallest fountain, a record it held for over a decade! The fountain goes off for 15 minutes every hour on the hour. On a hot day, such as this one, and with a bit of wind – if you are lucky, that mist will cool you off with its over spray. Tourists (and residents alike) come from all over to see this fountain. It’s one of my favorite places to be. In the last post, I showed you what most people picture when they picture Arizona – the desert. But many people don’t realize that due to our amazing weather, there are trails for hiking or walking and biking – and WATER! It’s also very green here with lots of flowers and trees. In the winter you can be in shorts and still see snow on the tops of the Four Peaks, a national landmark in the Tonto National Forest (that’s just 40 miles north of Phoenix). Crazy, right? There is so much to do and see here. I am making it a point to get out and explore more. 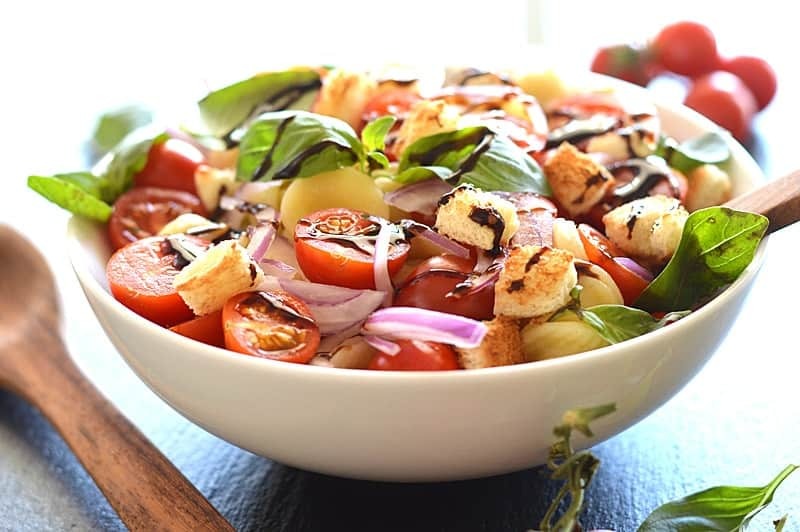 After a long, hot day of exploring, I prepared my favorite Bruschetta Pasta Salad. 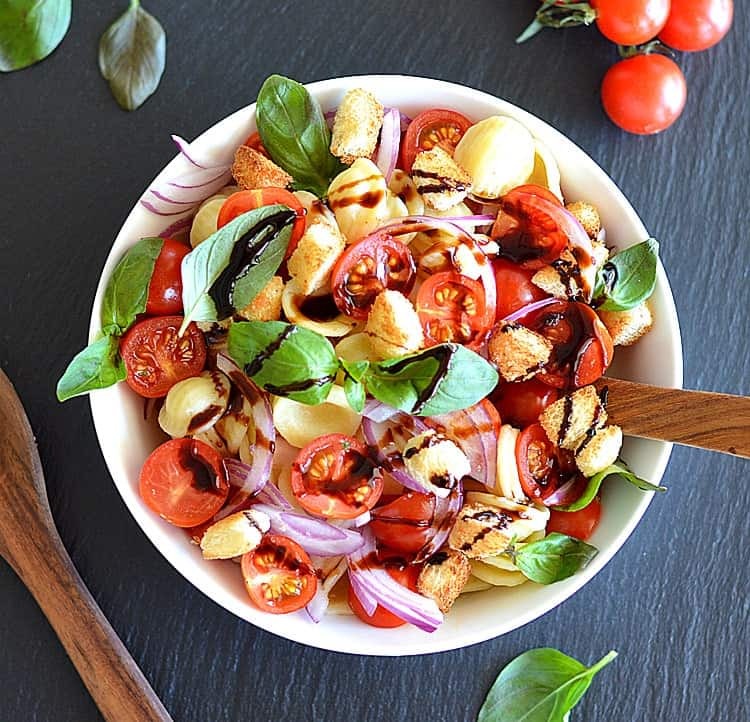 This light dish consists of orecchiette pasta with fresh cherry tomatoes, red onions, basil leaves and toasted, seasoned bread cubes. Topped simply with a balsamic glaze and enjoyed with our now-chilled Michelob ULTRA Pure Gold, it was a great day! 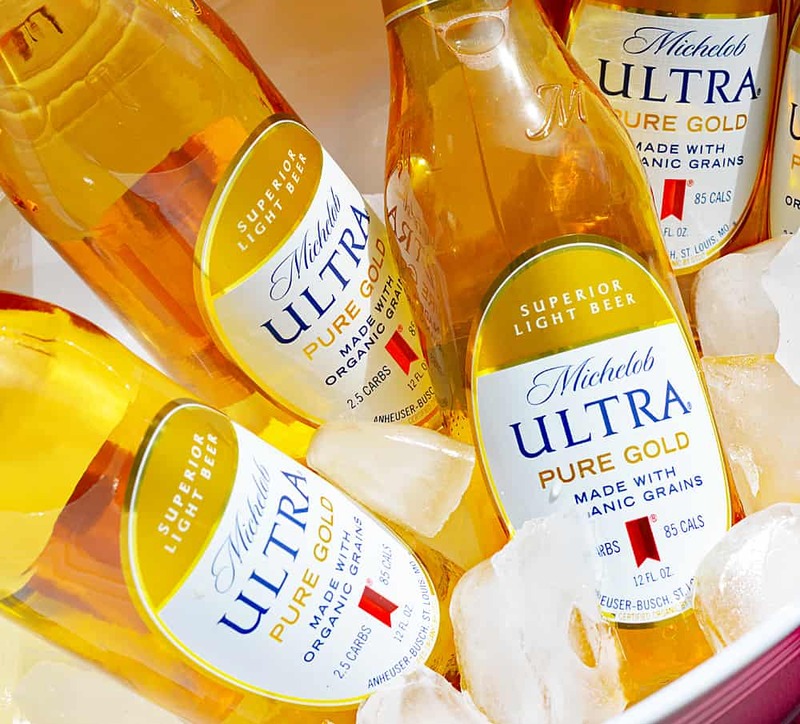 Products like Michelob ULTRA Pure Gold give you permission to make healthier choices while still having fun with your family and friends. Staying active by getting outdoors and enjoying nature and coming home to an ice cold beer are not mutually exclusive. 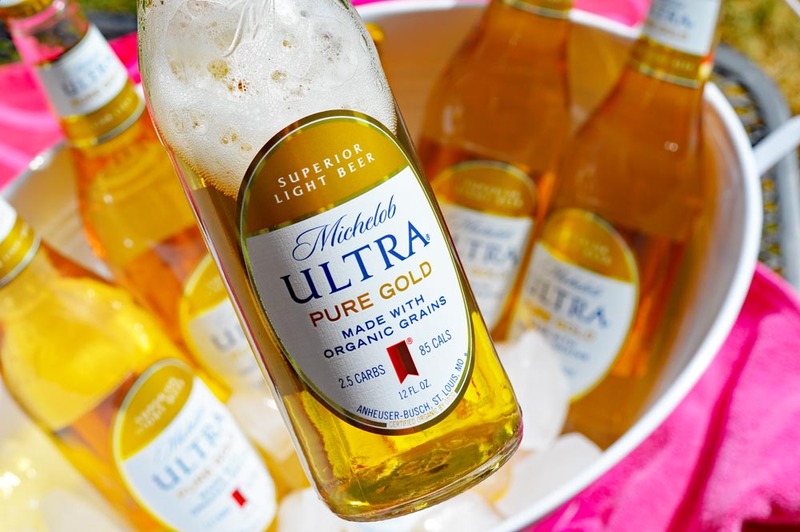 Michelob ULTRA Pure Gold is currently being produced in limited quantities, so be sure to go get some ASAP! You can just use the store locator here. I also want to mention that if you cannot find it using the locator, call your local stores including Total Wine, Safeway, etc. because I was actually able to find it there as well. Leave me a comment below if you have tried Pure Gold and let me know what you thought! Good info Great site! It was nice to see this, i really enjoyed reading it. Looking forward for more updates. Keep it up. Thanks for sharing.